This will be a shorter write-up than the past five, because I've already covered Mule Variations in our Musical Surgery feature. Yes, this is Bloganese for "These write-ups take forever and I don't have the time for another right now." Hey, start paying me to do this and you'll get your full write-ups. 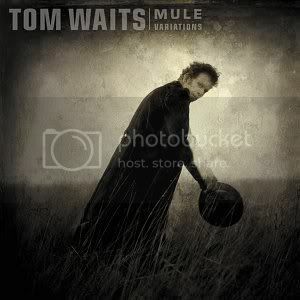 In 1999, Tom released Mule Variations. It was his first original studio album since Bone Machine (1993's Black Rider because it was a collections of songs written for a play. #wikiplagiarism). This seven year gulf is the longest new release drought in Tom's career (rivaled only by his current six year-and-counting drought [Orphans doesn't count]). But the wait for Mule was well worth it. It's a stunning album, littered with oddities not unlike its predecessor, but this is never a burden. Bone Machine was a jagged contraption, bound by a thin membrane that served as a reminder that its parts belong to the same device. Tom conveys a more unified aesthetic on Mule Variations, grounding any aberrations with down-home ballads and crumbling blues shuffles. This is an album borne out of the junkyards, from underneath railroad bridges and behind the old decaying houses that loom in the rural shadows. Mule Variations won a Grammy for Best Contemporary Folk Album, and "Hold On" was nominated for Best Male Rock Performance. Asked his thoughts on the former, Tom--notoriously suspect of awards and labels--acknowledged that "Contemporary Folk" isn't too far off in describing his music. Agreed! Songs to Know: Again, I'll reference you to the Musical Surgery piece. But here are a few Youtube clips I'll lazily provide you, including the music video for "Hold On". 4: There are more immediately likable tracks on Mule Variations than on any Waits LP since 1978's Blue Valentine (also worth checking out). Some of the junkyard jams like "Eyeball Kid" and "Filipino Boxspring Hog" might not sit well initially, but those are pills in the pudding as far as digestibility is concerned. Also Check Out: I mentioned it in the Bone Machine write up, but the 2006 collection entitled Orphans is a brilliant compilation of unreleased Waits material. Generally it's more reflective of his latter-era stuff, but there's certainly something for everyone in its three discs of material. 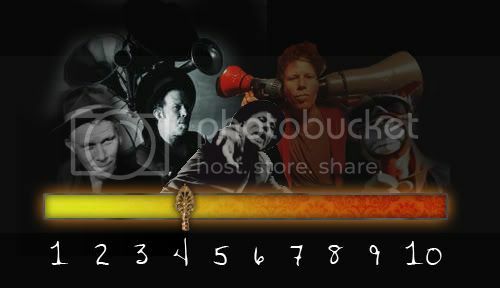 Up next, we conclude Waits 101.